Microsoft hasn’t gotten off to a very good start in 2017. While there’s currently a lot of buzz around the company in the run-up to E3 thanks to the promise of a full reveal for the console powerhouse that is Project Scorpio, concern surrounding the Xbox One and, by extension, its more powerful counterpart’s line-up (or lack thereof) of first-party titles has only continued to grow. As of now, the only triple-A exclusives we know to be in the works for the platform are Crackdown 3 and Rare’s Sea of Thieves, both of which have been noticeably absent from the limelight in recent months. 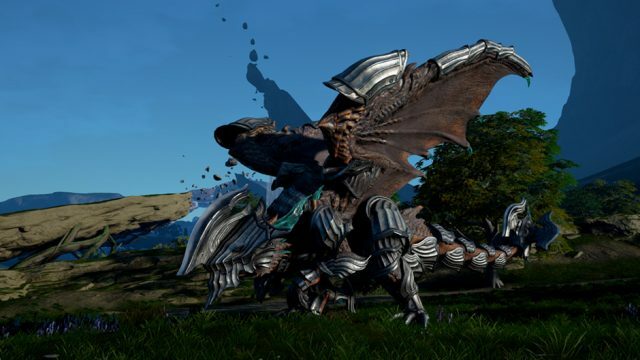 For that reason alone, it came as a shock earlier this year when Microsoft announced that Xbox One exclusive Scalebound, the dragon-centric RPG from Platinum Games, had been canceled, despite it having been in development for four years. Neither party involved ever provided a specific explanation for its cancellation, though Xbox boss Phil Spencer did refer to the unfortunate situation as being “Better for Xbox gamers,” in the long run. The dust has had time to settle since then. Until today, that is. As spotted by SomosXbox (via VG247), it appears as if Microsoft has recently renewed the trademark for Scalebound, no doubt igniting rumors that the book has not yet closed on the project. The renewal is recorded by Justia Trademarks, which notes that a request to have the Scalebound trademark extended was confirmed earlier this month, May 5. Of course, as much we’d all love to take this as a sign that Microsoft has had a change of heart, it’s probably more likely to do with the software giant wanting to protect ownership of the name, should it decide to use it for a remake or entirely new project in the future. Opting not to keep tabs on the trademark could lead to potential issues down the line. That being the case, it’s probably best not to get our hopes up for any grand resurrection at this year’s E3, but we’ll be keeping an eye on any further developments, nonetheless.